In a recent interview with Ronan Baynes, the Corporate Sponsorship Sales Coordinator for the San Francisco Giants he discussed his background in the sports industry and how he got to his current role. Ronan previously worked with the Oakland Raiders as Manager of Corporate Partnerships and Client Services before recently accepting a new position with the San Francisco Giants. Here are the questions below. 1. 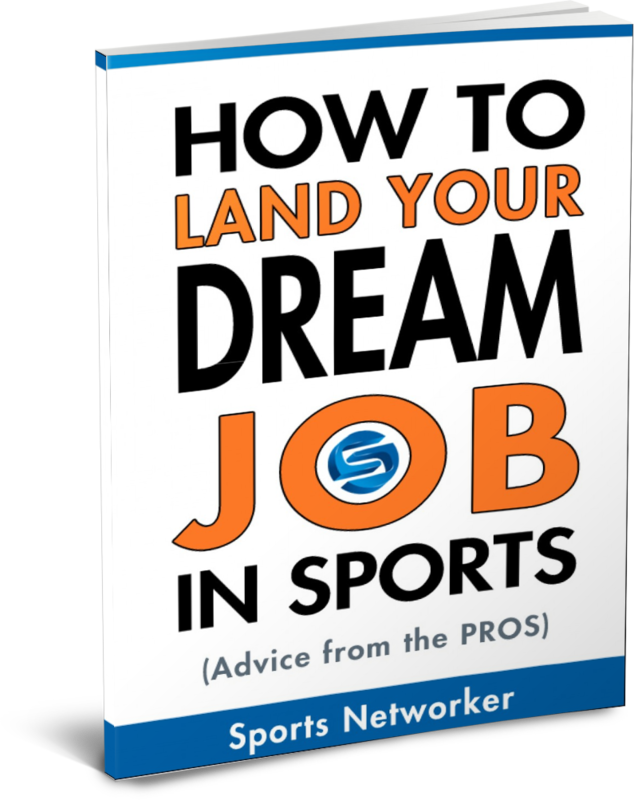 At what point did you decide to pursue a career in the Sports Industry, and how did you get your start? Sports have always been a passion of mine. From an early age I always played, watched, and read sports any opportunity I got. However, it wasn’t until my freshman year of college that entering the sport industry as a professional seemed like a real possibility. I was lucky enough to obtain an internship with CBS College Sports working on campus to promote both the CBS College Sports Network as well as their new partnership with Powerade. This opened my eyes to the various possibilities within the industry and allowed me to seek further internship/volunteer opportunities in the sports world. 2. How did your experience at Boston College for undergrad and the University of San Francisco for your Masters help you prepare for a career in sports and the business world? While at Boston College I was able to take advantage of being part of a reputable athletic department. There were constant opportunities to assist both the marketing and media relations departments. This gave me great insight into the behind the scenes activities that occur on game days. It also prepared me for the level of work that is continually expected of you in sports. The University of San Francisco does a phenomenal job of hiring professors with real industry experience. My marketing professor worked on a campaign for the 2002 World Cup and my accounting professor was the CFO of the San Jose Sharks just to name some examples. Not only were they teaching us about their various roles within the industry, but they had real world experiences to share. It added significant value to my experience as a graduate student. 3. What did you do in your previous role as Manager of Client Services and Coporate Partnerships for the Oakland Raiders? With the Oakland Raiders I was in charge of 17 corporate accounts. Once our sales executives bring aboard a new partner, I ensure that they receive all of their deliverables and that their contract is fully executed. 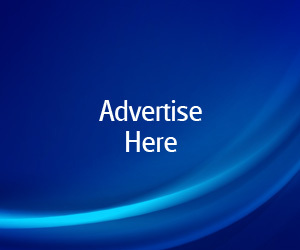 This requires continual contact with our clients to assure all of their marketing needs are being met. Also, I worked closely with the sales executives and assist them in building various proposals and packages, as well as collaborate on ideas for potential new partners. Although sponsorship departments consist of a sales element as well as a fulfillment element, everyone within the department is required to work closely together to offer our partners the most success. 4. What was your favorite part of working for an NFL team and also your least favorite? The NFL is a very powerful brand. Many potential sponsors understand that aligning their brand with an NFL team can provide significant value. 5. 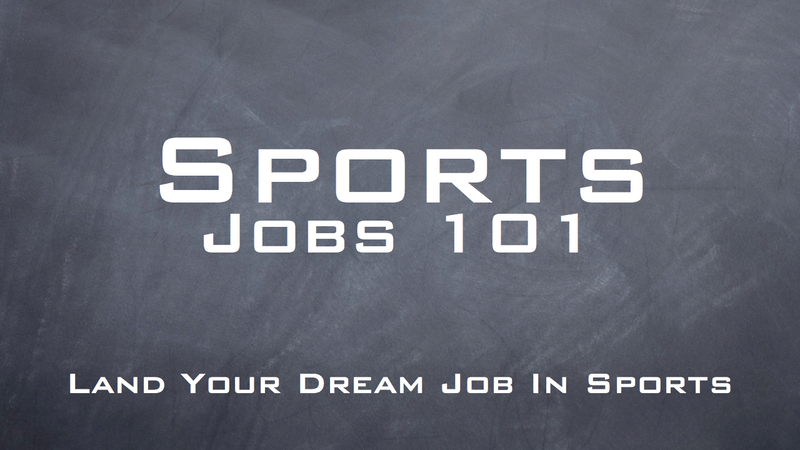 What advice would you give to someone who is aspiring to work in the Sports Industry? I would first tell them to try as many new things as possible. There are so many internships and volunteer opportunities available that can help steer one’s interests. Then I would tell them to network as much as possible. Reach out to current sport industry professionals and ask them if they would be available for a short informational interview. This gives you the opportunity to hear first-hand what it is like to work in the industry. What do many of these jobs require? What kinds of hours are you expected to work? What path did you take the get to where you are today? Conducting informational interviews not only gives you a tremendous insight into the day-to-day responsibilities of many of these professionals, but it allows you to begin building a network for yourself.